Life happens. It happens and it ends, and other lives go on. Somewhere in that chain we tell each other stories of what was, who was, and how we came to be here. Sometimes those are big stories, like Ken Burns documentaries. Sometimes they are small stories, like how your family, and by extension, you came to be where you are right now. My family is lucky in that we have a lot of that history written down. On my mother’s side there is a scroll that traces our lineage back to the early 400s. One of my great uncles had it translated from Japanese, and then later wrote a book that updated the family tree up to about my brother. When I was in middle school I read that scroll translation over and over. It’s the official record of our family from the time our oldest traceable ancestor moved from China to Japan, to when our happy band of half-breeds extended our deep roots into my hometown. That’s the for-real story. There’s another version though, probably more than one, possibly as many as there are living family members. The version I tell my kids is based more on what I remember my mother telling me than it is on that scroll. My mother’s version is based on what her mother and grandmother told her. The general story is the same, but the details are probably very different. The stories shift and change like folklore handed down within very small tribe. Each generation wraps it in a little more color, a little more romance. 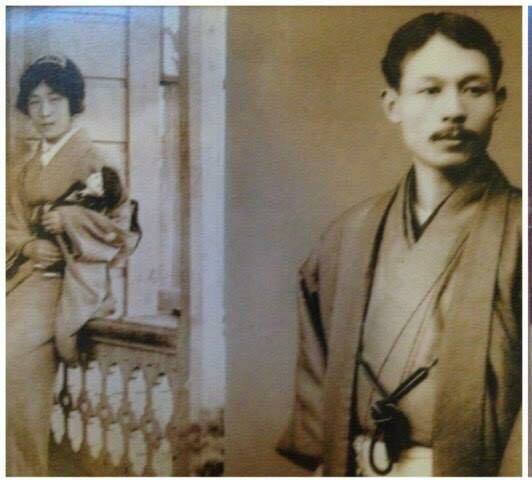 My great grandfather left Japan shortly after feudalism ended. He had been a Samurai, but since he was not the oldest son he didn’t stand to get an inheritance. 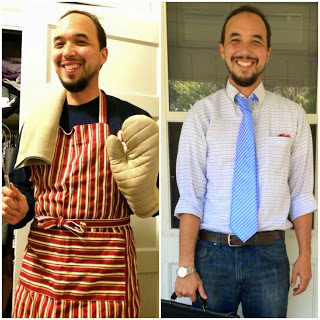 With no lord to serve, he made off for America like so many other hopeful Asian men. While he was here, he worked in a bicycle shop, but refused to handle money as such things were beneath his station. He later helped to organize farm workers in California’s central valley. I imagine him like a Japanese Cesar Chavez whose work was lost to history, wiped away when white farmers seized Japanese land and businesses during WWII. In between, he was sent a wife in a marriage arranged by their families. My great-grandparents settled in San Diego. My grandmother told me a story about making jam sandwiches and loading them into her red wagon to take to the Okies camped next to the stream near her house. She said that when the men would knock on the door looking for work, or for food, it was the first time she knew there were poor white people. That house is gone now, the subject of a mystery that was never fully resolved. By the time WWII started my great grandfather had died. I’m told it was just as well, that the indignities of internment would have killed him. My great grandmother and her children were sent first to the racetrack at Santa Anita where they lived in horse stalls they were forced to clean out themselves, and then to Poston III in the Arizona desert. The house was left empty with neighbors agreeing to keep an eye on it. The house was fine. Then there were G.I.s living in it. Then one day, it was gone. Just gone. Lifted off the foundation and carried away. The government denied there had ever been a house there. When I graduated from college in LA (from a school that used to be an orange grove where boys took my grandmother on dates, she told me) we all took a trip down to where the house had been. The street corner is now on the naval base. The annexation of my family’s house, and now much of their neighborhood seems to be complete. My grandmother and a few of her brothers were able to get out camp. One joined the 442nd all Japanese American regiment, another was already enlisted on that day that shall live in infamy. My grandmother moved to Utah to attend college and live with her brother in a converted mortuary. She bathed in the corpse tub and worked in a Chinese restaurant, as they were the only ones willing to hire Japanese. She took her degree in journalism to occupied Japan as the editor for the Stars and Stripes Army newspaper. While there she interviewed Tokyo Rose and Helen Keller. She also met an enlisted reporter named Kelly Roberts. She was his boss. They got married. After leaving Okinawa for Chicago and then spending a couple years in Pakistan while my grandfather was definitely not working for the CIA, they moved to Berkeley because they felt it was the best place in 1950s America to raise mixed race children. And that’s how it came to be that my kids’ school interviewed me for a family history project. They wanted to update some of the murals around the schoolyard with stories of how students’ families came to Berkeley. The kids in the class chose our family as one of the mural subjects. That’s when I realized that I wasn’t sure how much of what I told them was 100% accurate. I remember trying to verify some of the details years ago. “Is that what I told you? Gosh, I don’t remember.” was my grandmother’s response to most of my questions. Grandma is gone now. She never saw the mural her great grandchildren helped paint. I fretted over the details for a while, but in the end I decided that the story as I know it is true enough. It’s the one I think I was told and the one that I tell my kids. As family stories go, that’s close enough.